I love soups and stews. I eat them all year long. I live in Arizona where it’s very hot 9 months out of the year and let me tell you it gets HOT in the summer. The hottest summer I experienced in my 13 years here in Phoenix was 118 degrees, but you know what…I was still eating soup! I grew up eating some yummy homemade soups all year round and it’s just something I still do. My friends look at me weird when it is the heat of summer and I order a cup of soup for lunch. Now that the fall season is teasing us here in Phoenix, I wanted to start making some new soup recipes. This one has a light broth, but has a hearty taste. I love the autumn vegetables in this one…carrots, celery and garlic. YUMS!! 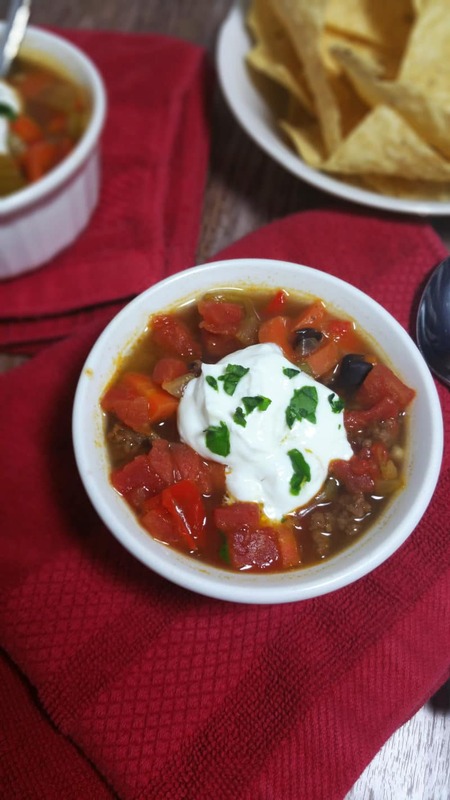 I’ll take as much protein as I can get so I added ground hamburger meat, but the black beans in this soup provide a great protein kick if you want to make a vegetarian version of this soup. 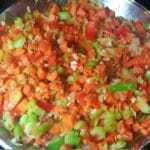 I chose to use fresh vegetables in this recipe. You can’t beat the taste of fresh vegetables. And by the way…when you chop up your carrots for this recipe, don’t peel them. You’ll get additional nutrients from the peel! This one is Gluten Free and is perfect to eat on for several days. I love to eat my soups with a salad for lunch. 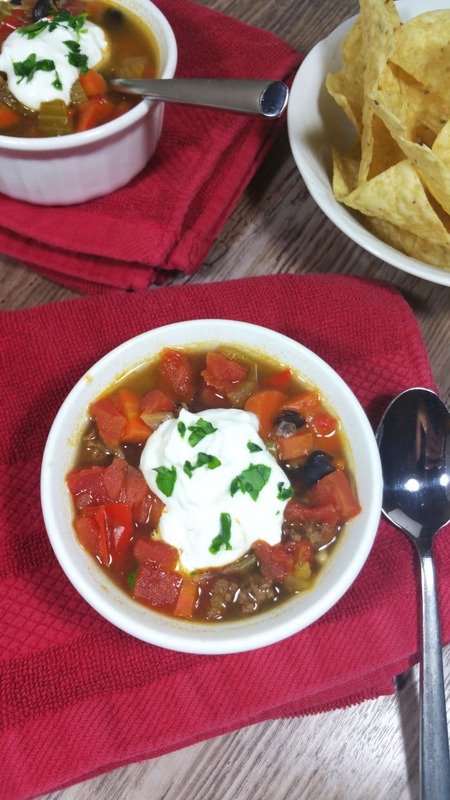 Crumble up some corn tortilla chips with a little bit of mozzarella cheese and this will quickly become one of your favorite soups! I topped mine off with a spoonful of plain Greek Yogurt and a bit of cilantro. Happy Autumn Eats with this one! In a medium saucepan, ground the hamburger meat until no longer pink. Drain and set aside. Heat oil in a large saucepan over medium-high heat. 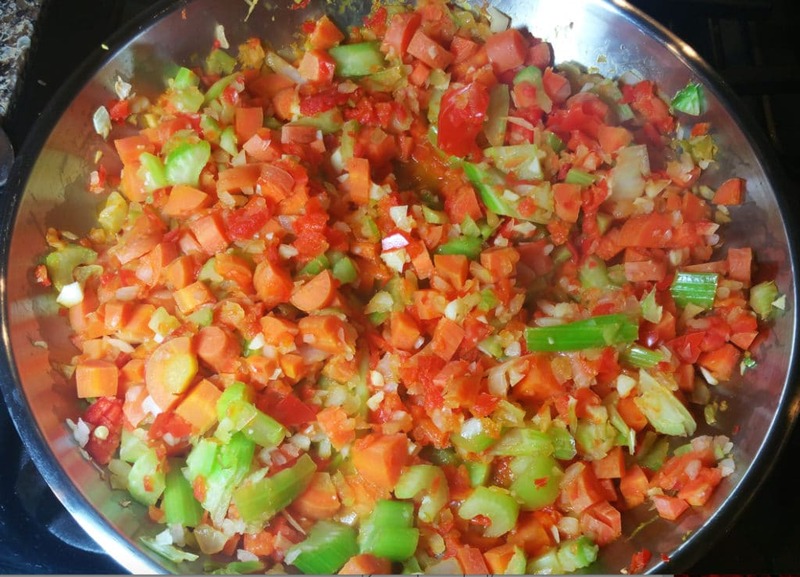 Chop your onion, garlic, bell pepper, carrots and celery and add them to a large saucepan. Sauté for about 15 minutes, until softened. Add chili powder and cumin to the sautéed vegetables and sauté for another 3 minutes. Move the vegetables to a large pot and pour in the broth, black beans, ground hamburger meat, and tomatoes. Stir well and cook on low uncovered for 30 minutes. Remove 2 cups of soup from the pot and puree in a blender. Take the pureed mixture and put back into the pot and cook on low for 5 more minutes. Pour soup into bowls and top with your favorite toppings. In a medium saucepan, ground the hamburger meat until no longer pink.Drain and set aside. Chop your onion, garlic, bell pepper, carrots and celery and add them to a large saucepan. Sauté for about 15 minutes, until softened. Add chili powder and cumin to the sautéed vegetables and sauté for another 3 minutes. Move the vegetables to a large pot and pour in the broth, black beans, ground hamburger meat, and tomatoes. Stir well and cook on low uncovered for 30 minutes. Remove 2 cups of soup from the pot and puree in a blender. Take the pureed mixture and put back into the pot and cook on low for 5 more minutes.